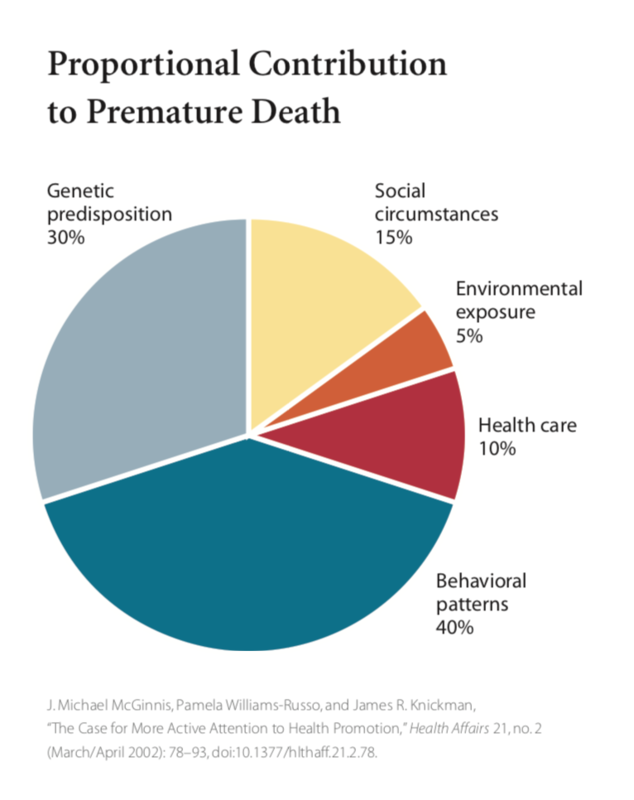 We've all seen the pie chart about factors contributing to a premature death: It's the one with the tiny slice for medical care; only 10% of premature deaths are related to the medical care we receive. The other 90% is determined by our behaviors, genetics, and the social and environmental influences in our lives. Not that we need pie charts to understand the obvious: Health truly begins at home, at school, and in our communities. Anyone who has talked with me about social influences on health knows that I wrestle with the question of how much responsibility the health care system should take for solving problems that exist outside the doors of the exam room. Overcoming social obstacles to health can't rest only on the back of our country's health care system — Policy must be a key piece of the puzzle of addressing social needs. That said, I have come to believe that being patient-centered and taking care of the whole person (not just the body part affected by disease or injury) means venturing outside the exam room walls to know the social and environmental contexts of patients in their homes, schools, and communities that have such a deep impact on the care provided inside the exam room. My own experience working with groups of independent practices and commercial delivery systems tells me that the importance of understanding social needs is agnostic to payer type and patient population. No matter who is paying the medical bills, social influences are key. Knowing about those influences is only the beginning, though, and actually supporting patients in overcoming social needs is the more important work we must attempt to do. We are so fortunate to be part of the California Improvement Network (CIN) — a collaborative of organizations dedicated to improvement and sharing — so that we don't need to undertake this work alone. CIN’s June partners meeting yielded important learnings and resources to help all of us better support the social needs of our patients. In the latest issue of CIN Connections, you'll learn about leading health care organizations’ efforts to connect patients to community resources and track outcomes. Our resource page offers a list of relevant and timely resources to help leaders make the case for addressing social needs in addition to screening and implementation tools and referral and coordination platforms. We hope these resources serve you well in your work to support patients where health truly happens.